Homeschooling can be really tough, and sometimes you can start to wonder if you’re going totally crazy. 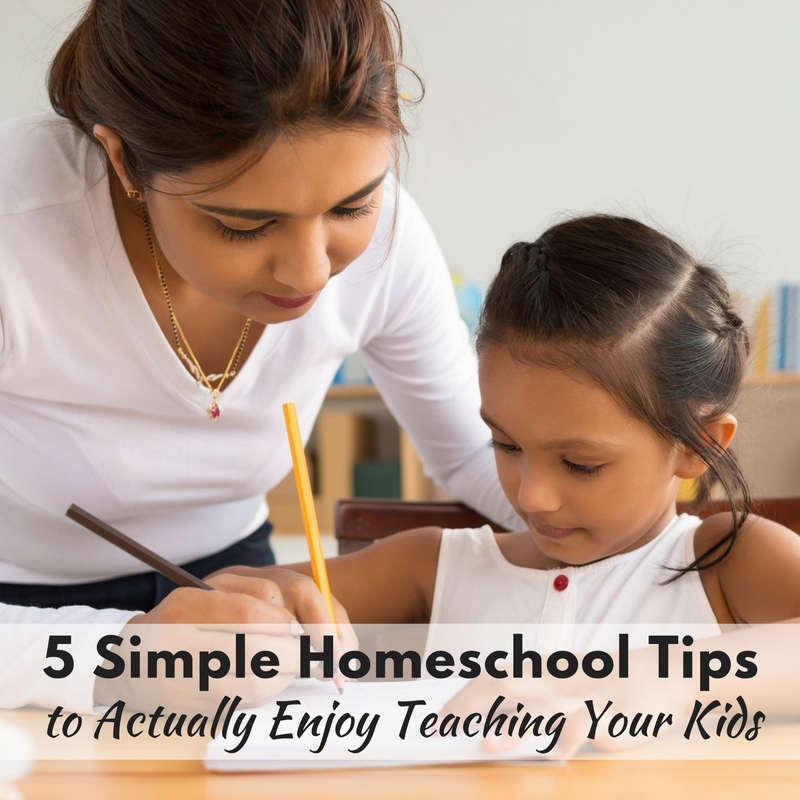 I care about your sanity, so I’m sharing 5 simple homeschool tips to actually enjoy teaching your kids! I’m telling you guys, these really help. 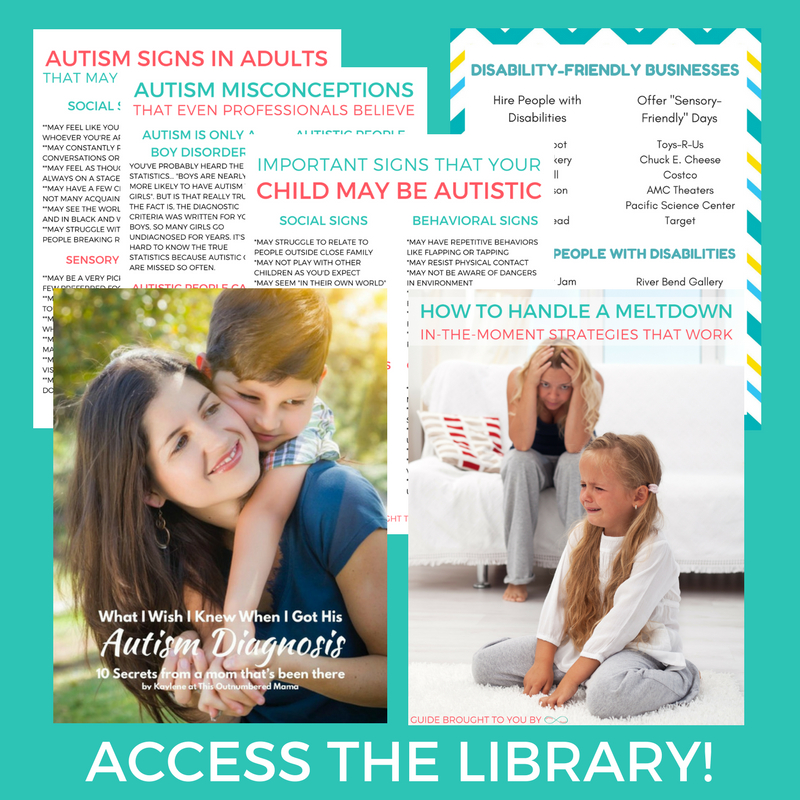 If you’re adventuring homeschooling for the first time and are finding it way crazier than you thought, these will be a life-saver for you. I remember when I first started homeschooling my boys and it was craaaaazy. I had no idea what I was doing and I was stressed out and overwhelmed. I had to take a step back and re-evaluate what I was doing and how I was doing it. What changes could I make? If you’re not taking breaks, that is a HUGE factor right there, friend. You can’t go through all that work without taking a break. It leads to overwhelm and some serious burnout. It just doesn’t work for you, your kids, or your poor brain. Even in traditional schools, they take breaks. Little kids have recess and the bigger kids have 5-10 breaks between classes along with lunchtime of course. They have a minute to breathe and get a handle on the day. So I really urge you to take breaks so you don’t suffocate yourself. It simply is not good for you to be stuck inside all day every single day. Your kids will get agitated, fidgety, and very cranky being in the house all the time. They need room to run around and get energy out. In traditional school, they get recess so they have a chance to do that. Same goes for at home. If you have your own yard, great! If not, make some trips to the local park or go for a walk. Going outside is good for you too, though. That fresh air is so wonderful and depending on where you live, you can look at the beautiful scenery that’s outside. It helps you relax and enjoy everything around you. During certain times of year, this may not be reasonable, but just do what you can. Do you and your kids a favor and get outside as much as you can! 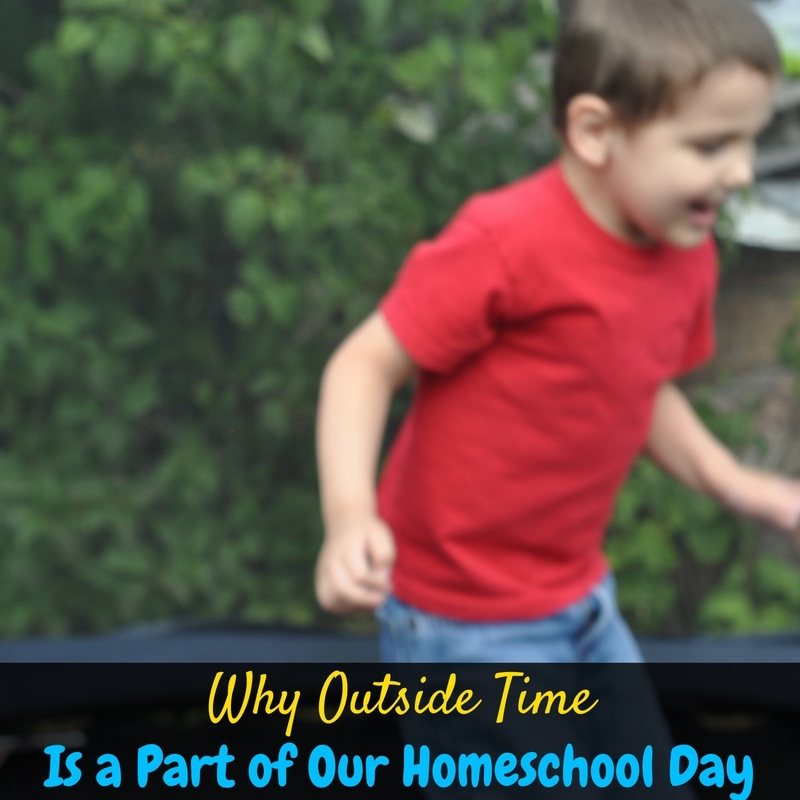 Sometimes, life gets hectic and homeschooling that day just does not sound ideal. You have a busy day that you didn’t expect, a family emergency happened, or there’s some drama soaking up all your attention. (as much as we hate that, stuff happens.) 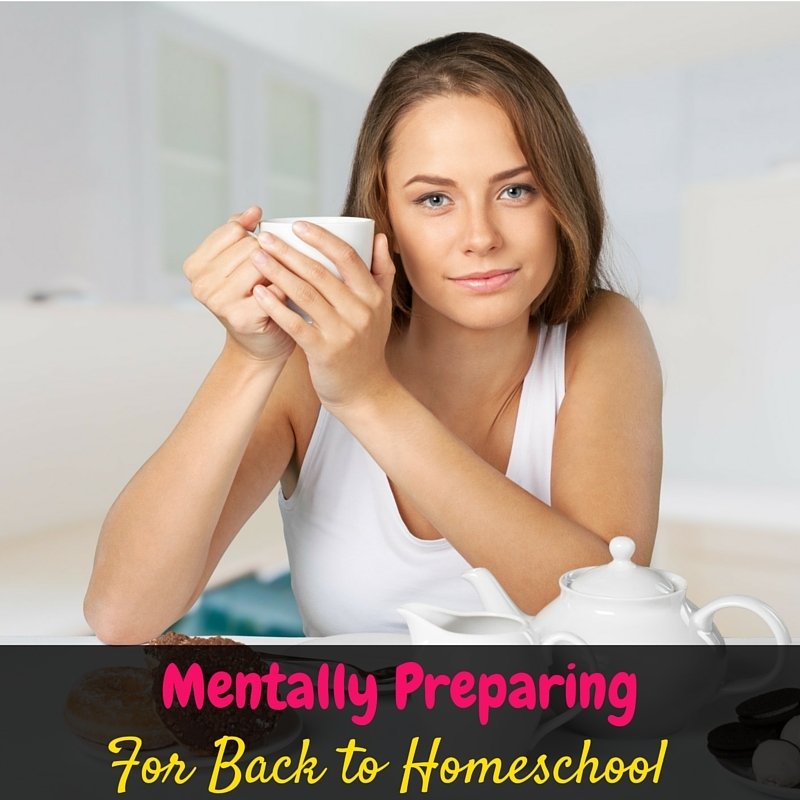 Don’t stress yourself out by cramming homeschooling into that crazy day. Just take a day off. It’s okay. It will be there tomorrow when you pick back up on it. But don’t stress yourself out by trying to cram it in because you think you “have to”. Stuff happens. But you know what? Stuff doesn’t have to happen for it to be okay. Even if you just wake up “Eh, I don’t feel like it today. I want to take a lazy day instead.” that’s okay too. This is why you started homeschooling, afterall. It gave you that freedom. There’s so much curriculum out there to choose from that it can be a little overwhelming. I feel it’s super important to pick something that you really love. Pick curriculum that you will get excited about along with the kids. It’s much easier to convince them and get them engaged and excited when you are too. Don’t just choose the first thing you find because it was recommended by your homeschooling friend. Find some curriculum that has you super excited. Get your hands on that curriculum you absolutely love that makes you excited instead of wanting to pull your hair out! Okay, so it doesn’t have to be Uno but the point here is to have fun. Take some fun activities and find a way to twist it around into a lesson. Homeschooling doesn’t need to be all curriculum and worksheets and textbooks all the time. Be sure to add in some fun activities. Use duplo legos for spelling lessons, bake a cake for a math lesson, and take a nature walk for a science lesson. Everyday activities can be lessons for the kids. Homeschooling shouldn’t be stressful and crazy. Take chances to have fun while you’re doing it. It’s important to help your kids learn but it’s also important to stay calm and let kids play like they should! Parenting is actually fun, not easy but able to fulfill tasks to my family. Tiring but it’s all worth it! Love these tips, esp the one about loving your curriculum. I got Sonlight after planning to use it for many years. I was obsessed with it when I was still in the planning stage. Then I started using it, and I just didn’t love it that much. I let it go without guilt because I do want to enjoy teaching my child.